Ready to release your inner tango temptress or courageous Casanova of the tiles? 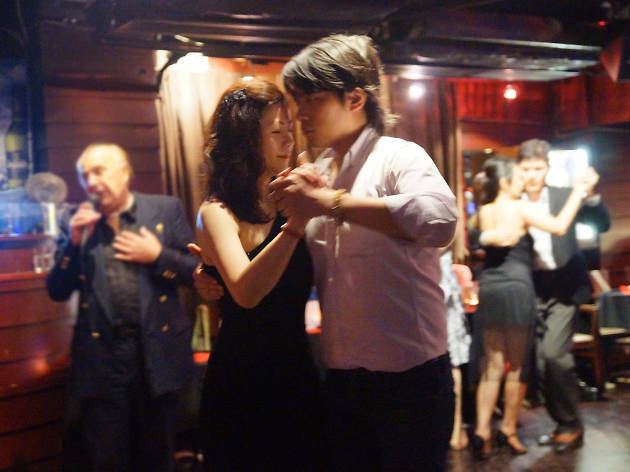 Argentine tango is the feistiest way to let loose on a Monday night. Hosts Coleman and Kamong are well-equipped to cover the steps in the introductory class. It’s a glitzy affair – women wear heels, and men black shirts, and on certain nights there’s a live accordion player or tango band. There is one strict code, though. Ladies wait for men to invite them to dance (even though men typically invite every lady). Reinforcing archaic gender roles? Well, it takes two to tango.